It has clear “New World” characteristics producing a complex flavour with predominantly fruity notes, especially apricot, citrus and spice. Ernest is named after its breeder, Prof Ernest Salmon. It was selected at Wye College, Kent as a seedling under code OZ97a in 1923 from seed collected in 1921 as an open-pollination of Neomex AA7. It was in production on farm trials in 1957 and 1958. It was used in brewing trials conducted by the Institute of Brewing in 1959 (reported 1960) but it was considered to be a poor substitute for the control variety, Fuggle, due to its “strong, coarse, American aroma”. 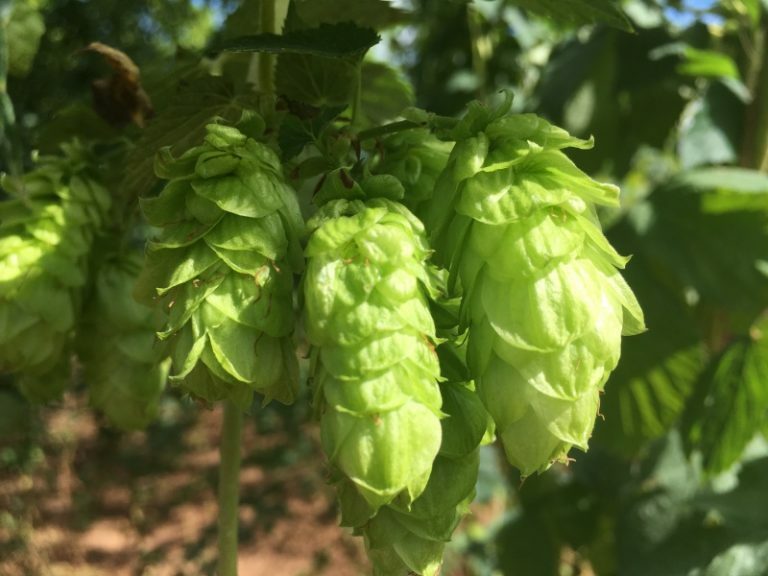 It has remained only in the variety collection now at Wye Hops. Vigorous tall, conventional variety, producing distinctly long cones. Late maturing. particularly susceptible to downy mildew in the spring.